A resort island often pictured in online travel blogs. Recently, the island has been in the entertainment news as Jennifer Aniston went there for her honeymoon (a whopping16k SGD per night 3-bedroom villa!!!) and is also where Justin Bieber was photographed in his birthday suit. The classic postcard view shows the turquoise lagoon surrounding a green extinct volcano with over-water bungalows. Not too bad for a novice isn't it? The central volcano rises up to 2 peaks and the higher one seen in the above picture is Mount Otemanu. Researching more on Bora Bora will reveal that it is located in the French Polynesia in the Pacific Ocean (read: middle of nowhere) and perhaps the only populated place more isolated is the famed Easter Island (occupied by the seafaring Polynesians as well). 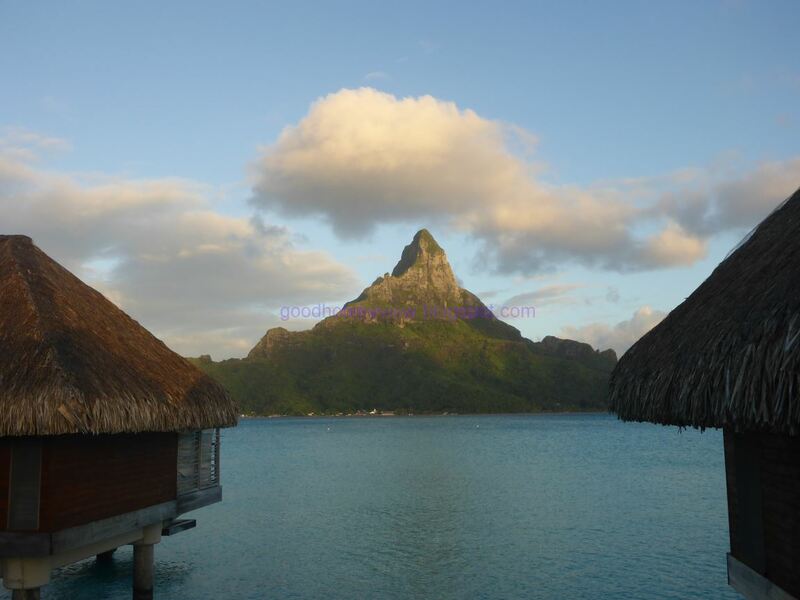 Once upon a time, I received an email from a travel company saying "cheap flights to BORABORA! ", which got me really excited!